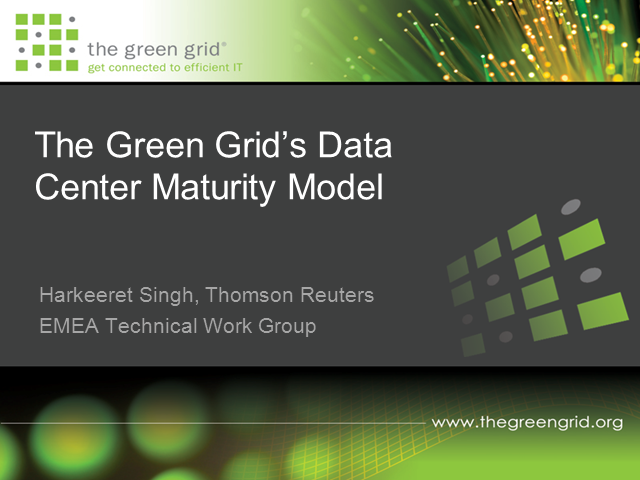 Join the Green Grid as they introduce their Data Center Maturity Model (DCMM) to outline the roadmap to improve the energy efficiency and sustainability of your data center and IT portfolio. The DCMM is split by area such that users can benchmark their current performance, determine their levels of maturity, and identify the ongoing steps and innovations necessary to achieve greater energy efficiency and sustainability, both today and into the future. The maturity model touches upon every aspect of the data center including power, cooling, compute, storage and network. The levels of the model outline current best practices and a 5-year roadmap for the industry.